La búsqueda encontró 251 resultados en 0.045 segundos. This Training of Trainers Manual is designed to help build the capacity of trainers in flash flood risk management, who can then disseminate the knowledge to a larger number of practitioners. The manual presents an eight-day course including a three-day field trip. Detailed lesson plans for 21 sessions are followed by resource materials that will enable the trainers to replicate the course in their own work areas. Shrestha, A. B.Chapagain, P. S.Thapa, R.
In line with the Watershed Guidelines of 2008 - released by the Government of India - the Indian Department of Agriculture and Cooperation, in partnership with the German International Cooperation (GIZ), has implemented a project called ‘Strengthening Capacity Building for Decentralized Watershed Management’. The objective of the project was to improve the capacities and networking of central and state organizations to implement large public investment for decentralized watershed management programs. The project was piloted and implemented in Rajasthan, Karnataka and Uttarakhand. Wani, S. P.Sharma, R.Rath, B.Anantha, K. H.Basu, K.Vamsidhar Reddy, T. S.
This study presents a quasi-experimental analysis of the impact of FairTrade certification on the commercial performance of coffee farmers in Tanzania. In doing so the study emphasises the importance of a well-contextualised theory of change as a basis for evaluation design. It also stresses the value of qualitative methods to control for selection bias. Based on a longitudinal (pseudo-panel) dataset comprising both certified and conventional farmers, it shows that FairTrade certification introduced a disincentive to farmers’ commercialisation. This Module is the third in a series of four that address capacity development competencies in FAO. It is intended to enhance FAO’s practices in designing, developing, delivering and evaluating its activities in support of learning in Member Countries, while ensuring that learning leads to sustainable capacity development. This paper, part of the Social Sciences Working Paper Series, presents studies undertaken by nine community-based, natural resource management (CBNRM)-oriented organizations in China, Viet Nam, the Philippines and Mongolia. The partner organizations, representing three broad types: academic, regional network, and community based, were brought together by a 2006 initiative in an informal network to develop and pilot methods for evaluating capacity development in community-based natural resource management. Vernooy, R.Nelles, W.Campilan, D.Li, W.
The aim of this report is to provide a detailed review of documented social learning processes for climate changeand natural resource managementas described in peer-reviewed literature. Particular focus is on identifying (1) lessons and principles, (2) tools and approaches, (3) evaluation of social learning, as well as (4) concrete examples of impacts that social learning has contributed to. Harvey, B.Ensor, J.Garside, B.Carlile, L.
This paper discusses a range of approaches and benchmarks that can guide future design of value chain impact evaluations. Twenty studies were reviewed to understand the status and direction of value chain impact evaluations. A majority of the studies focus on evaluating the impact of only a few interventions, at several levels within the value chains. Few impact evaluations are based on well-constructed, well-conceived comparison groups. Most of them rely on use of propensity score matching to construct counterfactual groups and estimate treatment effects. This note offers a conceptual framework for dealing with 1) institutional and capacity assessment; and 2) capacity development issues, mainly in the public sector areas. This framework will be particularly useful in the in the preparation of support to sector programmes and budget support exercises. This book contains a collection of papers that discuss the experience of an Agricultural Research for Development (AR4D) capacity building program in Papua New Guinea (PNG). The program was the AusAID-funded Agricultural Research and Development Support Facility (ARDSF), which ran for fi ve years from 2007 to 2012, and which sought to improve the delivery of services by agricultural research organisations to smallholder farmers. This Module is the first in a series of four that address capacity development competencies in FAO. It is intended to provide FAO staff and consultants with a basic understanding and knowledge of Capacity Development (CD), reflecting the international debate as well as FAO’s perspective on CD. It also provides some key concepts for adopting changes in responsibilities, behaviours and attitudes that are consistent with FAO’s new role in CD. The purpose of this paper is to re-examine the role that benchmarking can play in rural and agricultural innovations. Although generally known as 'traditional sector', rural activities are far from static but rather driven by old and new challenges pleading for innovative responses. Despite the broad range of insights from the burgeoning literature on innovation systems during the last decade, most benchmarking thinking and practice still remains highly science-based and centred in promoting public R&D, especially in developing countries. The paper sets out the general concepts and principles of the Agricultural Innovation Systems approach, and its application to agricultural research and development, particularly in sub-Saharan Africa. It is intended for those interested in applying new approaches to research with farmers, NGOs and the private sector that lead to developmental outcomes. This brief report lays out ten theories of advocacy and policy change. These theories are intended to articulate the policy making process and identify causal connections supported by research to explain how and why a change may or may not occur. It further provides examples of the way in which advocates, funders, and evaluators can use these theories in their work. 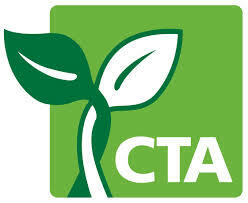 This document provides an overview of the Tropical Agriculture Platform and highlights its main goals and activities. The UNDP Capacity Assessment Methodology User‘s Guide gives UNDP and other development practitioners a detailed step-by-step guide to conducting a capacity assessment using the UNDP Capacity Assessment Methodology, which consists of the UNDP Capacity Assessment Framework, a three-step process and supporting tools. This synthesis report presents the outputs of the workshop organised by CTA at its headquarters in Wageningen, The Netherlands, 15-17 July 2008. The outputs are presented in two main parts, each corresponding to one of the workshop objectives, and ends with a section on the way forward as suggested by the workshop participants. It also includes a first attempt to come to a consolidated generic framework on AIS performance indicators, based on the outputs of the different working groups. Daane, J.Francis, J.Oliveros, O.Bolo, M.